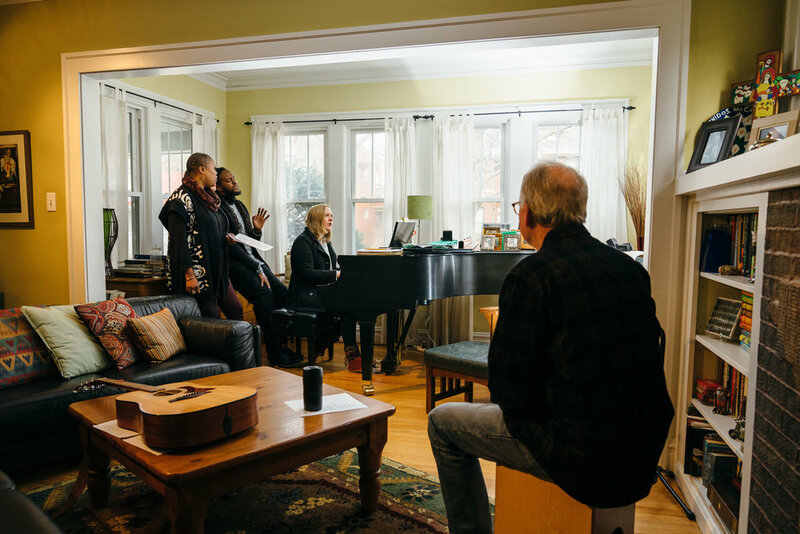 The Many is an uncommon, intentionally diverse collective making music for people to sing together about peace and justice and a world where all belong. Drawing on indie pop and gospel influences, The Many makes music to help give voice to faith and doubt, questions and fears, laments and longings, music that speaks to a non-violent God, a Jesus who is with us and for us, and to a Spirit that can't be easily defined or controlled. It's music for a movement of resistance to hatred and division, for reconciliation and restoration, and music that always reminds us "we are on this earth to love." The lead singers in The Many - Darren Calhoun, Leslie Michelle and Hannah Rand - came together around their shared love of music and commitment to honest expressions of faith, peace-making, economic and racial justice and LGBTQ+ inclusion. The Many are equally at home at a house concert, festival, conference or a faith-and-justice-grounded gathering of any kind. They do more than simply concerts...they create experiences in which they weave together music, words, images and liturgy into an engaging, participatory, transformational event. Leslie, a classically trained musician steeped in music that has grown out of the Black American experience, has performed all over the world, and is dedicated to making music and taking action that brings change and transforms society for the better. She also leads worship at Urban Village Church, Hyde Park, Chicago.